The President of South Korea will visit Uzbekistan in 2019, Uzbek media reported citing Director of the Institute of Strategic and Regional Studies (ISRI) under the president of Uzbekistan Vladimir Norov as saying during at international conference “Forum Korea-Asia 2018” in Seoul. Norov said, it is planned to discuss the development of bilateral cooperation in the fields of industrial and agricultural production, energy cooperation, development of logistics and infrastructure, interaction in the field of environment and technology, strengthening of international contacts during the "Uzbekistan-Korea: Vision for the Future" workshop in Tashkent on Nov. 29-30. Following the results of the conference, a joint research report on the development of bilateral relations between Uzbekistan and South Korea, as well as specific proposals for the upcoming visit of President Moon Jae-in to Uzbekistan will be prepared. 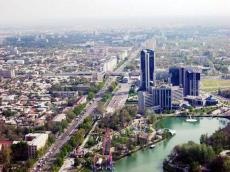 "Uzbekistan, having a geographical advantage, is ready and interested in becoming the center of attraction for South Korean business in entering Afghanistan market and other markets of the former Soviet Union, the Middle East, South and Central Asia," Norov emphasized.